Pastor Leon? | Turning my world upside down! People often ask Leon what he does for a living when we are first introduced. He answers that he is a full-time university student at St. Paul’s. In Ottawa, the university is known for its religious studies programs and quite a few priests have been ordained after completing their studies there. 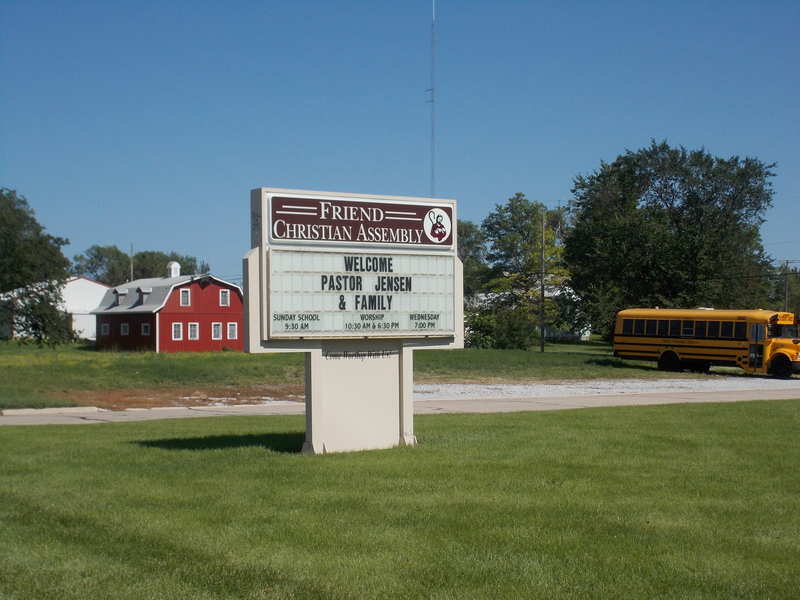 It came as a bit of a surprise when we entered Friend, Nebraska, to see the welcome sign in front of the local church – Welcome Pastor Jensen and family! Leon told me he had forgotten to tell me about his new job and apparently his recent ordination. Of course I played along and asked if there was a job for me at the local school. It’s a nice town but I don’t think I have the makings of a pastor’s wife.